Pineapple and habanero are a perfect pairing of sweet and heat, and always achieve satisfying salsa results. 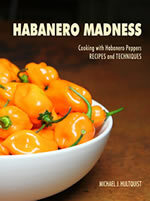 This habanero salsa recipe incorporates roasted pineapple and habanero peppers for a deeper flavor. 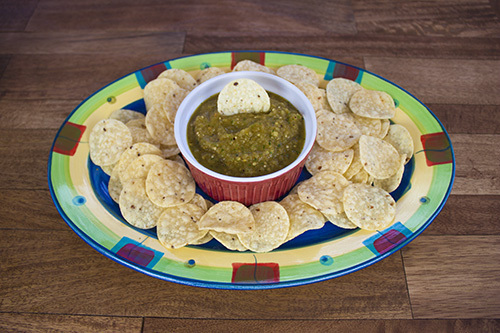 Slice tomatillos in half and set them onto a lightly oiled baking sheet. 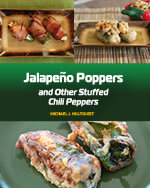 Remove stems from habaneros and jalapenos and slice in half lengthwise. Set them onto the baking sheet. Broil not too close to the heat source for 15 minutes. 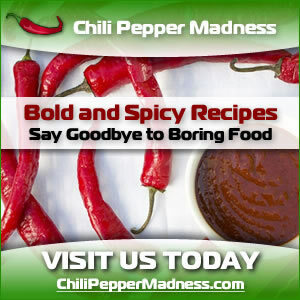 Remove habaneros and continue to broil tomatoes another 5-10 minutes or until skins have greatly loosened. Heat a sauté pan to medium heat. Add olive oil and pineapple. Sauté for about 12 minutes or until pineapple is brown. Peal skins from tomatillos and add to a food processor. Add habaneros, lime juice, cilantro and salt to taste. Process until smooth.